The Swedish online casino software group, NetEnt has made its second slot release this month. After launching Turn Your Fortune slot as its first rollout for 2019, NetEnt has now announced the release of the new title in its popular Staxx series. 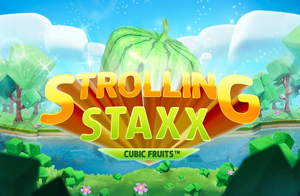 You’ll remember popular games in this series such as Neon Staxx and Butterfly Staxx – and now NetEnt has added Strolling Staxx: Cubic Fruits slot to its arsenal. What stands out immediately in this game is its new cube-based design which is a move away from traditional rounded reels. The bright-colored fruit also add a lively touch to the game as they appear on the five reels and across three rows. However, Strolling Staxx: Cubic Fruits’ real stand-out feature is its Colossal symbols feature. This means that any symbol which appears as a colossal symbol or a stack symbol has the potential to activate the Strolling Staxx re-spins feature. 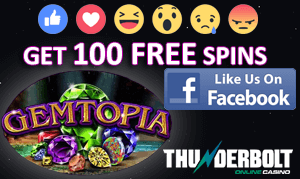 Even better, when activating the bonus bet, you are awarded the extra chance to trigger more colossal symbols on the reels – and therefore earn even more Strolling Staxx re-spins. As you can see, the rewards just don’t stop rolling in in this game! The director of game products at NetEnt, Bryan Upton commented on the rollout of the group’s second slot game this year so far. The new release puts NetEnt on track with its plan to roll out 35 new games this year. These plans were announced to the industry late last year, at the same time the group said that it would be cutting 55 jobs at its Stockholm headquarters. The decision to dismiss these employees was made in order to free up resources to ramp up new game development. In October last year, NetEnt said that it was looking to cut costs in order to streamline operations and speed up the development cycle.